Royal Enfield had already confirmed that it plans to make ABS a standard feature on all its motorcycles by February 2019. This in line with the Government's move of making two-wheelers with engines below 125cc to have CBS as standard while the one's above should have ABS by April 2019. Presently, Royal Enfield offers dual-channel ABS on the Himalayan, Classic 350 Gunmetal Grey and the Classic 350 Signals edition. And now the company is gearing up to launch Thunderbird X with ABS on both the 350 and the 500 iterations. Both these motorcycles have already started reaching dealerships wherein bookings have also been initiated. It is being said that Royal Enfield will price both Thunderbird 350X ABS and Thunderbird 500X ABS Rs 6,000 to Rs 10,000 more than the standard models. We await an official confirmation for the same from Royal Enfield. 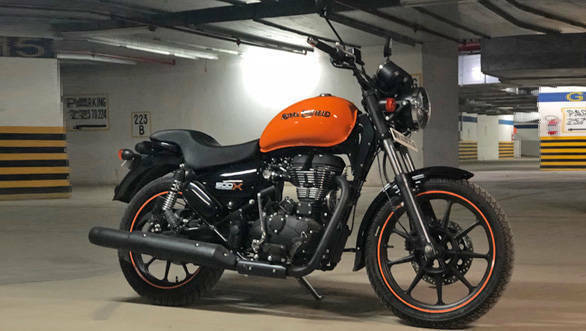 Visually, the Royal Enfield Thunderbird 350X and 500X with ABS looks identical to the standard models, except for a ABS sticker on the front forks. The Thunderbird X models share their mechanicals with the standard Thunderbird, and come powered by the same 499cc and 346cc air-cooled fuel injected single cylinder UCE engines, respectively. 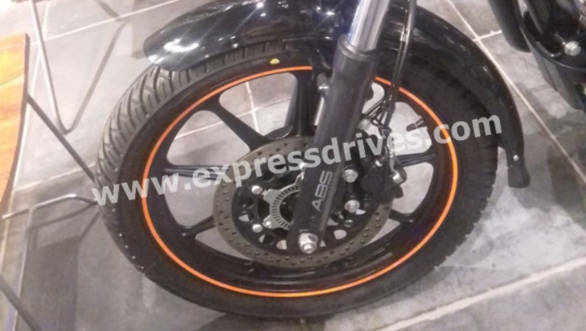 Other cosmetic changes include the addition of alloy wheels for the first time since the Royal Enfield DX 175 Fury, as well as lower and flatter handlebars for a more standard seating position, and rim stripes to match the paint. In addition, Royal Enfield has also given the Thunderbird X a narrow, contoured one-piece seat. Earlier this year, Royal Enfield had launched the new 2018 Thunderbird 350X and Thunderbird 500X in India at Rs 1.56 lakh and Rs 1.98 lakh, respectively (both prices ex-showroom, Delhi). The prices of both models are approximately Rs 8,000 more than their standard Thunderbird counterparts. Additionally, Royal Enfield dealerships across the country have started accepting bookings for their latest offerings. Deliveries will begin shortly after that. The Royal Enfield Continental GT 650 and Interceptor 650 were first revealed globally at EICMA 2017. The highlight of the two motorcycles is the new 650cc parallel twin engine developed by Royal Enfield. The motorcycles made their debut in India at the 2017 Royal Enfield Rider Mania.